Looking inspiring trends that shape the roles that libraries will continue to play in communities? Check out some of these excellent reports and resources! And check out my recent presentation on Library Trends 2015. 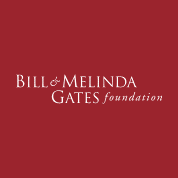 “The Aspen Institute Communications and Society Program, in partnership with the Bill & Melinda Gates Foundation, created the Aspen Institute Dialogue on Public Libraries to help advance the work that public libraries are doing to address community challenges and to support the transformation of communities and their public libraries in the digital age. The Dialogue on Public Libraries is a multi-stakeholder forum that brings together library professionals, policymakers, technology experts, philanthropists, educators and civic leaders to explore, develop and champion new ways of thinking about public libraries.” Rising to the Challenge – Re-envisioning Public Libraries, Amy Garmer, 2014. Also see: Learner at the Center of a Networked World, Aspen Institute Task Force on Learning and the Internet, 2015. THE INSTITUTE FOR THE FUTURE Global connectivity, smart machines, and new media are just some of the drivers reshaping how we think about work, what constitutes work, and the skills we will need to be productive contributors in the future. This report analyzes key drivers that will reshape the landscape of work and identifies key work skills needed in the next 10 years. It does not consider what will be the jobs of the future. Future Work Skills 2020, The Institute for the Future, 2011. 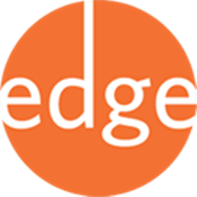 Edge is a nationally recognized management and leadership tool that is helping libraries and local governments work together to achieve community goals. With this professional tool, libraries can be better positioned to address community issues – like creating a stronger economy, ensuring workforce development and leading lifelong learning. Use Edge to connect library services to community needs. Web Literacy is the skills and competencies needed for reading, writing, and participating on the Web. Literacies are organized around Exploring, Building and Connecting. Check out the Pew Library Research and watch for the next reports on libraries and e-learning. Recent reports: Libraries at the Crossroads (John Horrigan, 9/15/2015), Young Americans’ Relationship with Public Libraries, (Kathryn Zickuhr and Lee Rainie, 9/10/2014), From Distant Admirers to Library Loves – and Beyond, (Kathryn Zickuhr, Kristen Purcell and Lee Rainie, 3/13/2014), E-Reading Rises as Device Ownership Jumps (Kathryn Zickuhr and Lee Rainie, 1/16/2014), Library Services in the Digital Age (Kathryn Zickuhr, Lee Rainie and Kristen Purcell, 1/22/2013). This year marks 20 years of Public Libraries and Internet data. Over this time, we have seen libraries in a constant evolution in tandem with advances in technology. 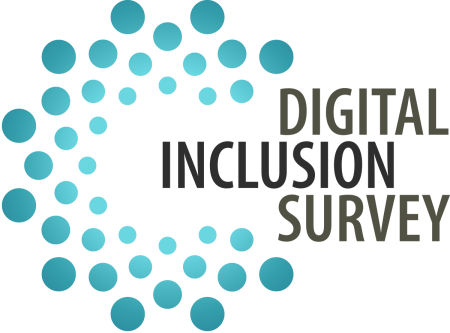 Digital Inclusion Survey: 2014 Findings and Results, John Bertot, Brian Real, Jean Lee, Abigail McDermott, Paul Jaeger, 10/1/2015. More resources at: University of Maryland Digital Inclusion and ALA Research. Building Digital Communities: A framework for action, Institute of Museum and Library Services, University of Washington, International City/ County Management Association, 2012. Libraries: Investments in libraries are working: One in three people in the U.S. do not have home access to the internet. See how libraries are transforming lives by changing the way we connect. See all the Gates Library videos.